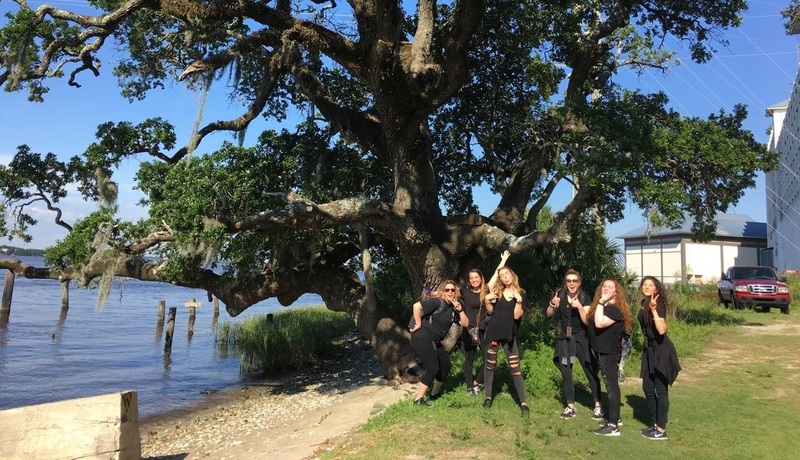 A group of students recently hit the road to join their professor, musical legend and co-founding member of The Turtles Mark Volman for the East Coast run of the Happy Together Tour. Created as a summer course, the 10 participating students will spend time in their “classroom” for nearly three weeks in June–a tour bus, hotel rooms, stages and countless green rooms. Starting in Biloxi, Mississippi, the students will follow the tour through Florida and back up to Virginia, New Jersey, Massachusetts, New York and Pennsylvania before ending in Hampton Beach, New Hampshire. Under the guidance of Volman, assistant professor of entertainment industry studies and staff adviser Lucas Boto, the students are working with touring artists and crew professionals in tour management, stage management, audio engineering, tour accounting and merchandise sales. Additionally, students will get hands-on experience each day as they participate in load-in, setup, tear-down and load-out. These hands-on educational avenues outside of the classroom provide networking opportunities with some of the industry’s finest while allowing students to gain an understanding of the revenue flow from music consumer to touring performer. For more information on tour details, click here.